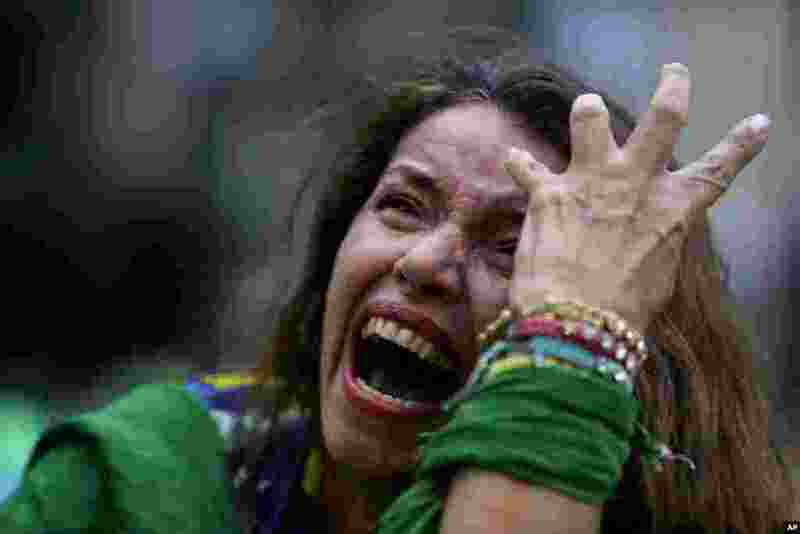 1 A Brazil soccer fan cries as Germany scores against her team at a semifinal World Cup match as she watches the game on a live telecast in Belo Horizonte, Brazil, July 8, 2014. 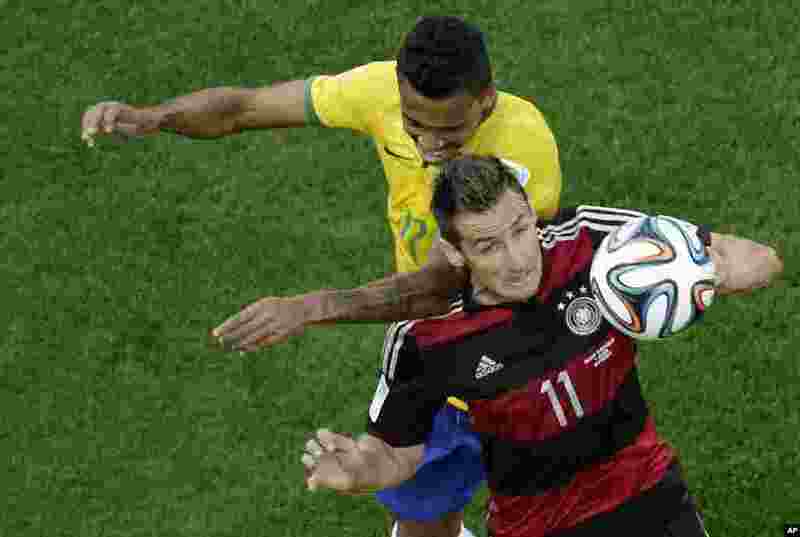 2 Germany's Miroslav Klose and Brazil's Luiz Gustavo fight for the ball during the World Cup semifinal soccer match at the Mineirao Stadium in Belo Horizonte, Brazil, July 8, 2014. 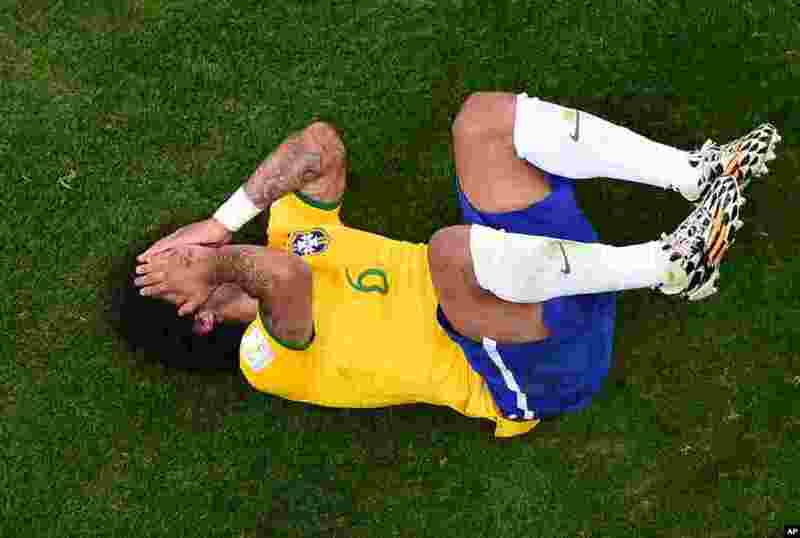 3 Brazil's Marcelo lies on the pitch during the World Cup semifinal soccer match between Brazil and Germany at the Mineirao Stadium in Belo Horizonte, Brazil, July 8, 2014. 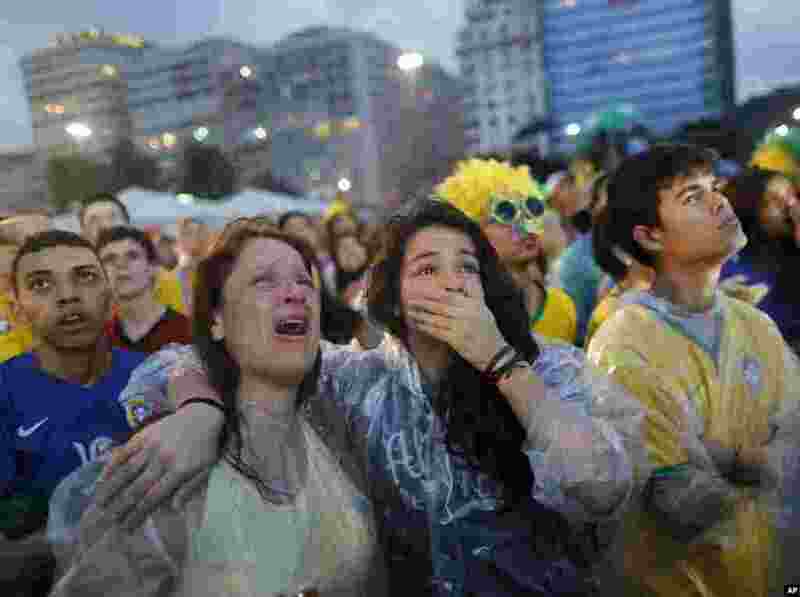 4 Brazil soccer fans cry as they watch their team lose 7-1 to Germany at a World Cup semifinal match on a live telecast inside the FIFA Fan Fest area on Copacabana beach in Rio de Janeiro, Brazil, July 8, 2014.